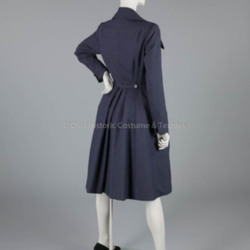 Dior navy blue worsted wool small herringbone pattern double breasted coat-dress. 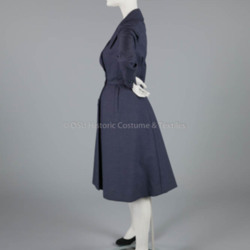 Notched collar; double breasted; self-belt attached at side front seam and goes around back; princess seaming; inverted pleat from waist at back; set-in long sleeves with bound buttonhole and button at wrist; lined in navy taffeta. 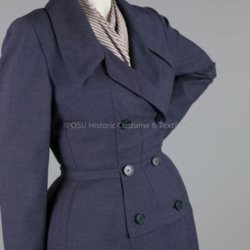 With navy and white diagonally striped scarf. 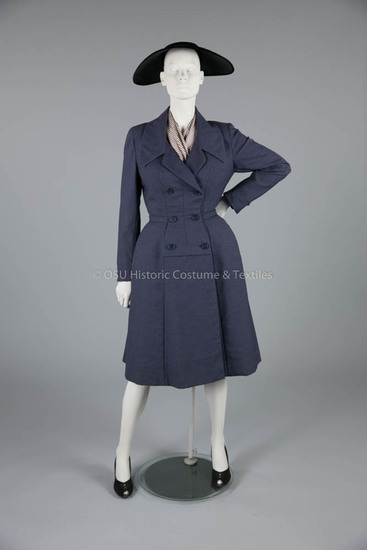 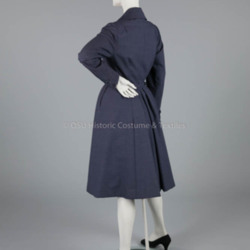 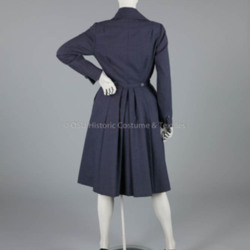 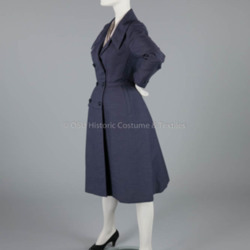 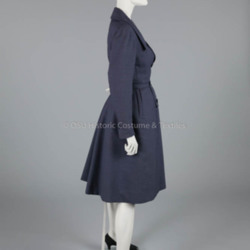 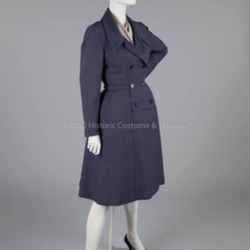 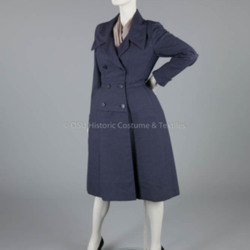 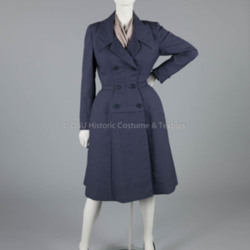 “Dior Navy Wool Coatdress,” Fashion2Fiber, accessed April 24, 2019, https://fashion2fiber.osu.edu/items/show/4995.